DURATION: 10 Days | ACTIVITY LEVEL: Light / Moderate | From the colossal moai statues of Easter Island to the candy-hued buildings of seaside Valparaíso, from vine-covered hills to lava-sculpted deserts—Chile exhilarates the senses with a carousel of fascinating experiences. Discover the vibrant cultures of Santiago and Valparaíso, delve into the intriguing lost culture of the early Rapa Nui people, and encounter artisans in the villages of northern Chile. 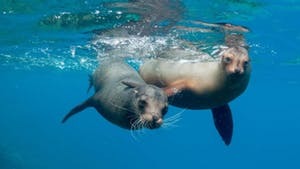 Then navigate the salt flats and dunes, rock canyons and lava caves, geysers and hot springs of the Atacama Desert. DURATION: 10 Days | ACTIVITY LEVEL: Light / Moderate | Commemorate the Year of the Bird in 2018 with an unforgettable avian adventure in Ecuador—home to more than 1,600 species of birds. From the Amazon headwaters along the Napo River to the cloud forests of the Andes, venture into diverse habitats to spot an astounding variety of species. In the heart of Yasuni National Park, look for colorful parrots, parakeets, and macaws as you embark on nature hikes, dugout canoe trips, and canopy tours. Continue to the hot springs town of Papallacta to search for the majestic Andean condor. Cap off your expedition amid the lush rain forests of the Chocó region, searching for hummingbirds, tanagers, toucans, and more. 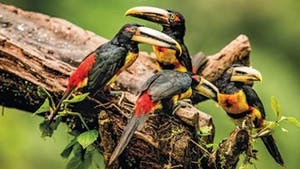 DURATION: 11 Days | ACTIVITY LEVEL: Light / Moderate | Blanketed by lush tropical forests and home to one of the world’s most spectacular wildlife sanctuaries, Ecuador is a small country that packs a big punch when it comes to biodiversity. 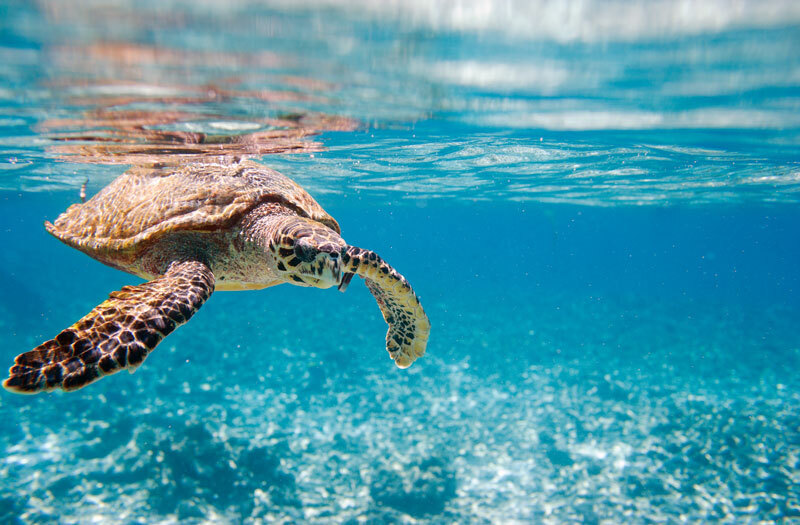 Visit the Galápagos to encounter the archipelago’s iconic wildlife while kayaking, snorkeling, hiking, and more. Fly back to the mainland and discover colonial Quito with a private guide. Cap off your expedition by discovering the Chocó rain forest’s breathtaking array of flora and fauna on guided nature walks through some of the country’s most pristine jungle. 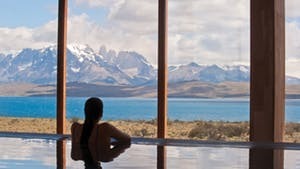 DURATION: 10 Days | ACTIVITY LEVEL: Light / Moderate | The wilds of Patagonia stretch from the ice fields of Argentina to the fjords of Chile, spanning twisted granite peaks, sweeping steppe, and pristine glacial valleys. 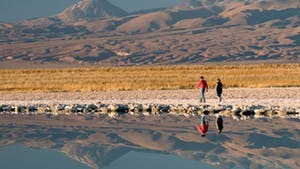 On a variety of excursions by foot, horseback, and 4x4, take in the region’s most spectacular scenery, from the imposing spires of Monte Fitz Roy and the Paine Massif to the calving Perito Moreno Glacier and its iceberg-dotted laguna. Delve deeper into these unspoiled landscapes to discover hidden turquoise lakes and rushing waterfalls, and get to know the culture of the horsemen who call Patagonia home. 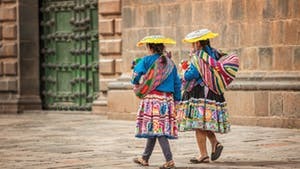 DURATION: 9 Days | ACTIVITY LEVEL: Light / Moderate | Still shrouded in the mysteries of Inca civilization, Peru’s Sacred Valley is a treasure trove of ancient ruins, dramatic landscapes, and Andean villages that still cling to age-old traditions. Starting in magical Cusco, trace the legacy of the Inca all the way to their crowning achievement: the citadel of Machu Picchu. Immerse yourself in this enchanting land, meeting artisans and farmers and getting acquainted with daily life in the Andes. Stay in a historic manor house, go stargazing high in the mountains, and enjoy two full days to explore Machu Picchu and its environs.